is based on the Moon. Initiate Elda M. writes: I find that the group that I am traveling with during the Three Day Pilgrimage has grown and includes friends and family members that have “Crossed Over” for some time, including my parents and grandparents. It is indeed a joyous journey and I was surprised the first night at the number of children. On the road to Jerusalem. As they broke camp that morning and once again hit the road, walking southward, Yeshua’s band encountered many more groups of Pilgrims also making the sacred journey. This was an annual trek for most families because of the obligation to send at least one representative to the Temple with a passover lamb. A lesser sacrifice was okay for the poorer families. This means they had animals with them. [Exercise 1: Picture yourself among them, the excitement of a journey and the family clan make it feel like a vacation. Yeshua couldn’t help but smile at the children running ahead on the road, then turning around and running back, no doubt with reports of what lay ahead and perhaps exclaiming at the size of another caravan. If you were among them today, right this minute, what would you be taking along to sacrifice? This is the origin of the Lent season of sacrifice. What are we prepared to give up, to renounce, in order to achieve a more perfect union with the Divine? Somebody I know gave up sodas during Lent and got thinner and healthier so didn’t go back to drinking them when Lent was over. Someone else “sacrificed” time each morning and evening before bed to study something spiritual. You can sacrifice time to meditate or study, to do something positive, to work to end the suffering of others in some way. After all, ending suffering is the Great Work. Make a commitment to do it and then try hard to stick with it. If you slip up, just start right back up where you left off. At sunset the road-weary, dust-covered but jubilant band reaches the Mount of Olives. They make camp there. 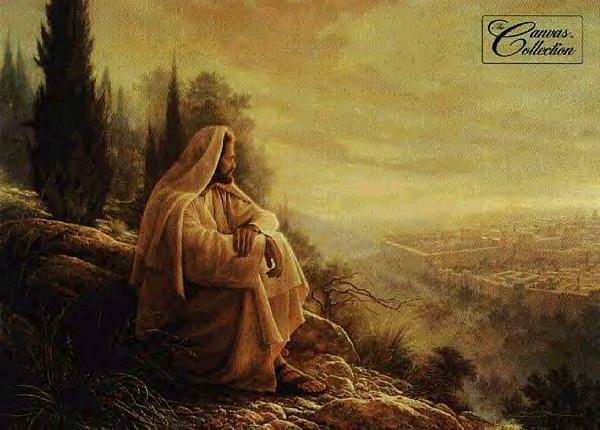 Yeshua climbs to the highest point of the hill and sits down to ponder the city before him. He isn’t quite sure, but he senses that his fate lies therein. He doesn’t think about that now, though. The Master only longs to end the suffering of Jerusalem. So many are afraid, lost, leaderless. He spends a moment sitting there alone. O Jerusalem. A group of noisy children from his band of followers arrives but doesn’t really break the spell. He smiles at their excited voices. Three days walk hasn’t fatigued them. No, they seem energized, as though anticipating great things. Passover. Suddenly a hand quietly appears on his shoulder. Magdala has come up and stands behind her husband. He puts his hand over her hand. Without speaking the two of them gaze at the rose and gold colored city in the setting sun. Yeshua’s students find a white colt for him to ride into town on—a symbol of the long awaited king arriving. 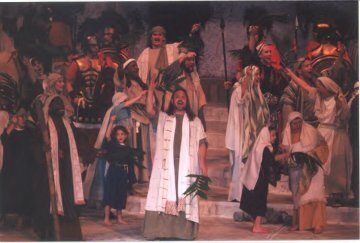 The people are ecstatic, and spontaneous worship of Yeshua breaks out all over the city with throngs singing and chanting, “Hosanna! Hosanna in the Highest!” and placing palms on the ground in his path. Shouts go up, “Crown him King! King of the Jews!” With regret and more than a little concern, Yeshua realizes they are serious, they want him to be some kind of a political messiah. 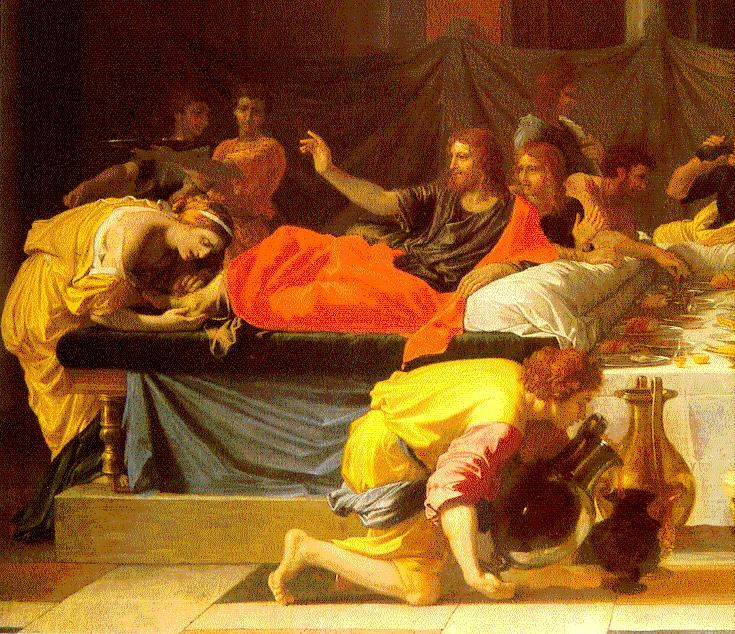 Passover week is already a wild time, riots and demonstrations are common, and the Romans are none too pleased. Pilate, the governor appointed by Rome, considers the volatile situation. There is only one monarch in the Empire allowed, Ceasar Tiberius in Rome. There are petty kings here and there like the puppet King Herod Antipas, but Judea / Palestine is ruled by Pontius Pilate, a ruthless cruel tyrant (according to Josephus, a historian and onetime member of his government). There is NO room for another king, be he sacred or not. And there must be no popular revolt to place a king on some ancestral throne—the throne of David the Hebrews call it. The Temple priests are also not too happy with this situation, especially the High Priest, another pawn of the Roman government. All agree that this Yeshua movement must be put down. No matter what. The question is, how bloody will putting down a popular uprising get? Pilate is supposed to keep the peace at any cost, Rome doesn’t want trouble in their distant provinces. Things reach a fevered pitch Sunday evening when the populace proclaims him King of the Jews on the spot where legend says King David was crowned. Yeshua arrives at the Temple. It is even worse than last year—a circus like atmosphere freakshow carnival with prostitutes being pimped, drugs being offered, and all manner of corruptions. 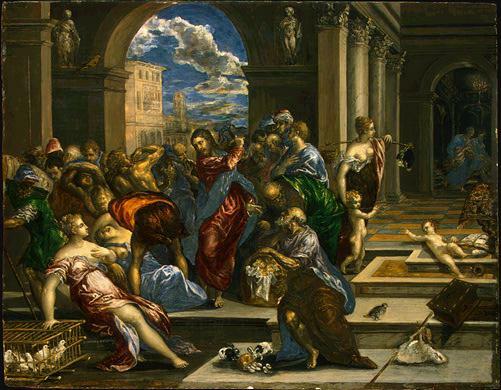 Yeshua is mightily vexed at the sight of the greedy money sharks, and he flies into his famous fit. Yeshua teaches in the Temple. The people love him, especially after his chasing out of the greed-mongerers, pimps and pushers. The priests are eager to speak to him, it is only the High Priest and a few of his lackies who don’t approve of Yeshua, all the rest of the thousands of Levites and temple workers, not to mention holiday crowds, want to hear him speak. Side Note: It is implied that the women were busy at the women’s court. It would be thronged with women and girls and any small boys not old enough to be with their papas. Perhaps Magdala worked with them, teaching and healing the women and children, bringing and end to their sufferings and illnesses while answering their many questions. The Gospel of Mark says Tuesday evening (two days before Passover) was the night Mary Magdalene anointed Yeshua with spikenard from her alabaster jar. We usually put this event on Wednesday evening, see notes below in Wednesday’s section. Yeshua teaches again, his popularity is intense. The city is abuzz with the news that a Messiah is here, and will soon take the throne of David. 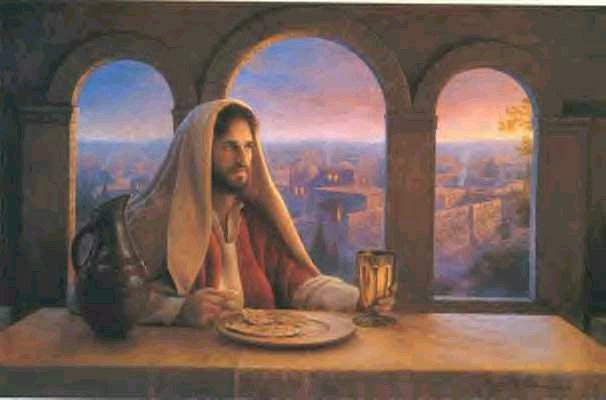 Wednesday evening: Yeshua has dinner at the house of a wealthy official. 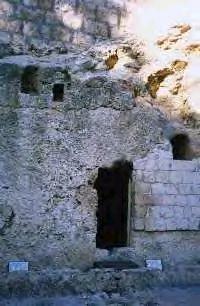 John says Lazarus’ house, but the other gospels say it was Simon or a Pharisee’s house. The dinner is largely a men only affair, the talk is of politics and trying to convince Yeshua to take more agressive measures. A few are there for wisdom, Simon is one of them because he asks a question which Yeshua answers with one of his famous teaching stories (a parable). The women of Yeshua’s family and inner circle are a few streets away at the Widow Mary of Jerusalem’s house preparing Passover foods for the next day. Magdala feels compelled to seek out her husband and anoint him. She is caught up in a role she probably hoped she wouldn’t have to play. Her anointing is what sealed his sacred kingship. MM is the Highpriestess and Yeshua the dying-and-resurrecting God. 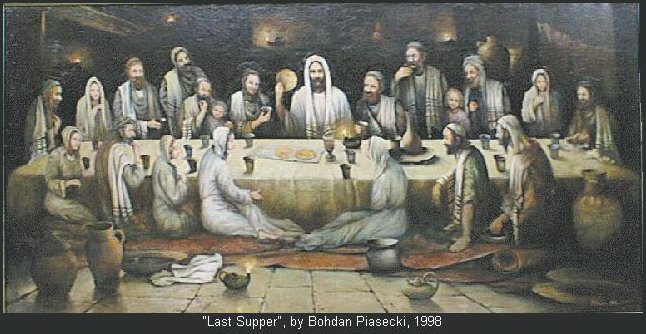 The Gospel of Mark, basis of the three synoptic gospels, Matthew, Mark and Luke, says the Anointing took place on Tuesday night, and John’s Gospel says it was six days before Passover. We can never really be sure since calendars and eyewitness reports got murky as time passed. So you can honor Tuesday of Holy Week as Anointing Day or Wednesday, follow your intuition. And so the anointed one (“Messiah”) becomes truly anointed. 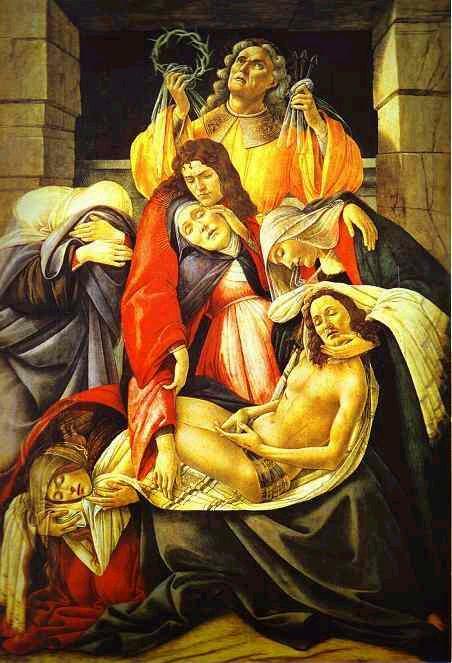 Yeshua proclaims that all the world, and all posterity will remember her for what she’s done–preparing the sacred king for his death and burial. Yeshua’s words make it clear to those present, that this is a sacrificial king, fulfilling an archetype as old as time, not a mere political figure. Magdala’s eyes fly to his at this statement from her beloved. His eyes look back into hers, sad, enigmatic. Her quiet tears come without being asked. He sends her away gently with a promise to join her within the hour. Passover Seder Meal. Passover always occurs on a full moon. The threat in their midst : Yeshua announces at dinner that one will betray him. 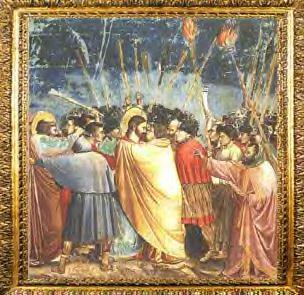 Judas departs before the Mystery is given. The Garden, Yeshua’s great passion, or agony under the Passover Full Moon. He decides not to resist arrest if it comes, so that his family, students and message would be spared. He believed the needs of the many outweigh the needs of the few, and he had come here to die anyway. To take mortal form and go thru mortal death was the only subtle “ticket to hell”—that shadowy realm between death and life, a “place” Yeshua needed to visit to accomplish his mission. and for this day came to the world. http://servus.christusrex.org/www1/ofm/san/GET03pri.html for a picture of the rock in Gethsemane he is said to have prayed on, the rock of agony. Judas brings the authorities to Yeshua’s secret place of prayer, causing Yeshua to be arrested rather than turn himself in. Also Yeshua was thus denied the option of leaving the country until the movement to put him on the throne died down. 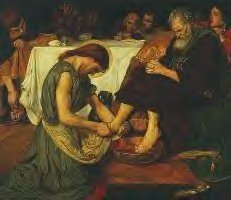 Without Judas’ betrayal he could have exiled himself from Judea and then died his mortal death in more friendly circumstances, perhaps of old age. But to flee would mean leaving his students and followers behind, in danger from the Romans who would have started killing them all just to find Yeshua the “ringleader.” They had crucified Jews by the thousands a few years earlier, nailing them to the city walls when they ran out of crosses. Yeshua did NOT want this to happen to his beloveds, he knew he must turn himself in. Turning himself in would still get him executed, he knew they wanted him dead, but by doing so he would prove to the authorities he had no desire to become this worldly King, and could secure a promise of safety for his family and followers. He would avoid flogging and a public execution, too, but Judas’ betrayal prevented even that. Yeshua ended up arrested like a common criminal , his execution made public used as an example to the populace of what happens when revolt against Rome is plotted. 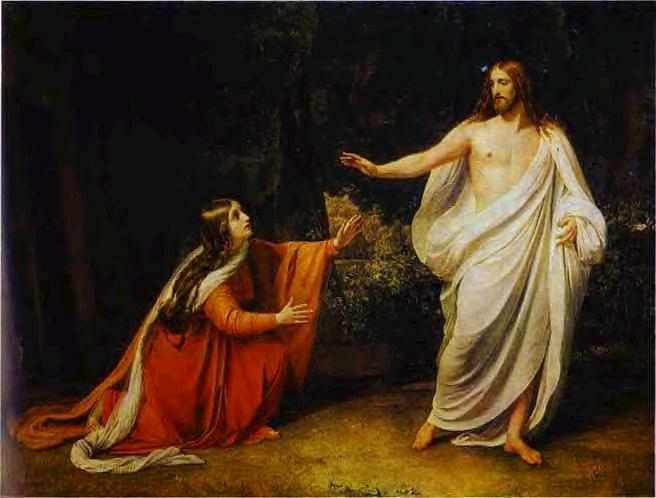 Mary Magdalene flies to her beloved. Heavily cloaked, she moves thru the city in the night and manages to see him, to speak to him briefly in his cell. He reassures her this will still work, death is death no matter how painful the method, and soon he will be able to descend into the underworld, take back the keys and their Divine Mission will be fulfilled. 14. laid in the tomb. 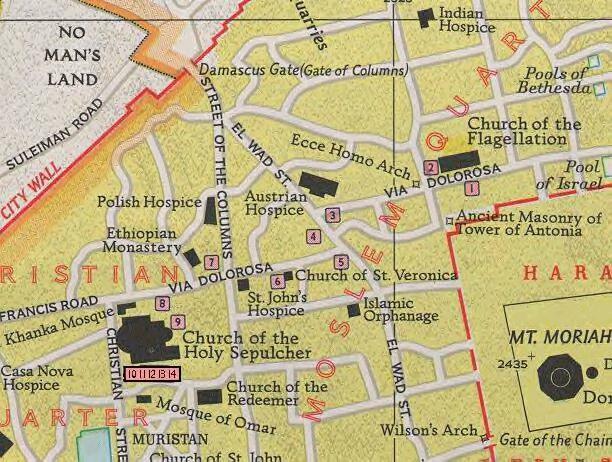 Exercise: Knights Templar & Daughters of Tsion, and Angelic Alliance: read these two messages and perform the 12 Apostolic Stances / Ringed Cross Ritual as described. Instructions for 12 Apostolic Stances. 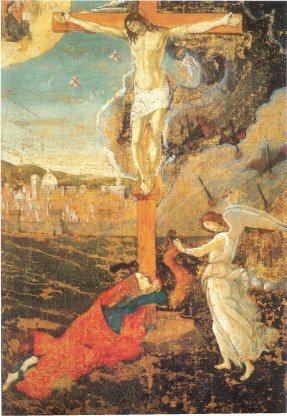 Joseph of Arimethea, said to Yeshua’s uncle in some legends, stands at the top of the painting. Can you identify the rest of the people? Is this where he lay? Where Magdala did her work? Magdala earns her title, Anchor of God. She is his ground while he descends to wake up the sleeping earth mother and break the spell the darkness has over her. Yeshua wrests the keys of Hell and Death from the hand of the Evil One who has been holding them since the Great Goddess mistakenly gave them to him. (Based on a Gnostic belief that Sophia created the Earth’s Ruling Prince without her partner–God the Father’s—help, the latter being delayed by business in the highest heaven. Sophia tried to go it alone and the Earthprince she made was flawed, and became the Prince of Darkness. He turned evil, and sought to feed off of and eventually destroy Earth and her people. Yeshua came to free us from the grip of evil by taking back the keys his mother mistakenly gave to a traitor. The only other way to have taken them back would have meant destroying the entire planet, people and all. A subtle method was required, as subtle as living a mortal life and allowing death to carry him straight to Hell and to the one who was eager to devour his soul. The angels were specifically instructed not to carry Yeshua’s soul to safety as they do ours when we die (to prevent demons or feeders from devouring our god-spark souls). Magdala’s job was to anchor and pull Yeshua back up from the depths should his battle with the Evil One exhaust him. 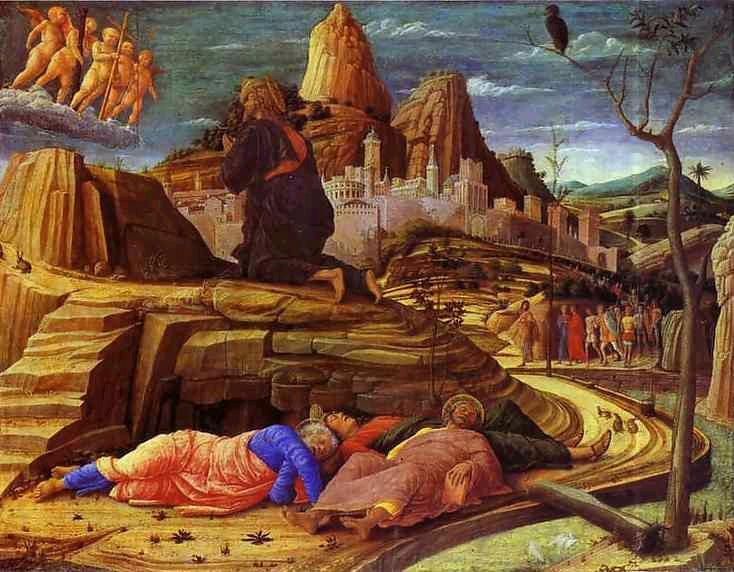 Archangel Michael is said to have accompanied him into Hell, but could do nothing to aid him. Here are two depictions of Yeshua’s journey into hell or “limbo” to free all the captives there and take back the keys. Why did Yeshua Die? lessons from our Diakon / Diakonissa phase (Deacon / Deaconess) of the Church of the Way studies. 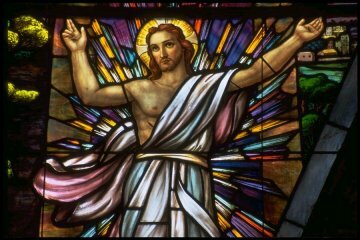 Those of you who have already completed the Catechumen Phase are required to complete these three lessons now, and those still working in the Catechumen Phase will eventually have to take them, so you might as well go ahead and do it now during the Easter season to give your Easter this year more meaning: less hopeless suffering, and more triumph over Evil. “Don’t cling to me,” says Yeshua to Magdalene. He has returned to life, survived the hells of the underworld, but mustn’t embrace his beloved. If she touches him, she will ground him, thus preventing him from ascending to the highest heaven where his higher self, God the Creator Father awaits the delivery of the Keys. Yeshua also no doubt feared he wouldn’t want to let her go. He must maintain his resolve to finish his mission-journey and deliver the Keys to his “father in heaven.” As the story in John goes: after speaking her name out loud, “MEER-ee-ah…” Yeshua stops her from flinging herself into his arms. “Don’t touch me yet,” he says, “for I have not yet ascended to my Father in heaven. Go and tell the others, then head back home to Galilee. I will meet you on the road or at home.” Recent scholars say the Greek word translated usually as “touch” was actually a more intimate word, “cling.” So Yeshua, probably with a smile on his face, was telling his Meeria / Mira, “Don’t cling to me,” because she no doubt flung herself into his embrace and wouldn’t let go. thousand years of Peace or Golden Age the Messiah is supposed to usher in? What do Esoteric Kristians believe about that? Pistis Sophia, an ancient Gnostic book written during the same period as the New Testament. The Golden Legend says Mary Magdala was taken safely (with her small daughter, and pregnant with their son) to the shores of France. Lazarus and Joseph of Arimethea are said to have accompanied her. Perhaps Yeshua was really one of them. Magdalene’s story is lost in mystery after her arrival in France, except for a few details, so it is very possible they were together those eleven years (maybe on a teaching journey to exotic lands) or simply raising their small family, quietly laying the foundation for the next time they return. In other words, on the third day it will return. On the third day he returned. This is the Third Millenium, the dawning of the Third “Day.” Perhaps they are preparing their return and will at last bestow the Keys to their rightful owner, Mother Earth and a Son of Man, a male and female pair to “rule” over our planet as was intended long ago upon our creation. Mother Earth is said to be “asleep” right now, asleep and dreaming. Her dreams are our interactions with her, and she is getting closer and closer to total awareness. She is the consciousness — the persona — of a single living organism–this planet. “God is back and is She pissed,” says the bumper sticker. When Mother Earth is awakened by the newly arrived Son of Man how will she react? But if enough of us work now to heal the Earth—called tikkun olam in Hebrew—if enough of us can live decent lives, actively ending suffering and standing up against evil, revering the Divine, remembering our own divine heritage and kinship, we can show the Godhead that their sacrifice on our behalf back in ancient Judea-Israel was worth it. We have to let Them know that we do want to be alive and learn to know our Creators. We must make it clear that we dearly want to provide whatever it is they like about us, whatever it is they created us for in the first place. That means we should be that companionship, joy, or simply represent the growth of life in a cold, empty universe. If we show them that, then the Son of Man will fight for us, he will stand on the battlefield of Armageddon and destroy that great evil, the beast that seeks to devour us. The perversely corrupt towns of Sodom and Gomorah come to mind. Abraham bargained with the Angels of Destruction who were there to nuke them. “If you find one thousand righteous folk will you spare the city?” The angels stared mutely at Abraham and he knew there weren’t even one thousand righteous living there. So Abraham lowered the number to one hundred, and then finally to ten — and the deal was struck. But there weren’t even ten right-living residents, so the cities were destroyed. Abraham’s nephew Lot, his wife and daughters barely escaped. Who knows what our modern “quota” is, hopefully we will make it. If we don’t, then the right-living ones among us will (again, hopefully) be spared, “caught up to meet the Lord in the air” and taken to heaven or some place to await the creation of the new heaven and the new earth. Initiate Oiled Lamp writes: When it comes to how many people need to participate in tikkun olam before we will be saved from the apocalypse. It’s probably 10%, simply because of the Law of Tithing. At the end of Malachi it warns that if we don’t make our tithes the earth will be cursed with a curse and burned at the Second Coming. When Abraham asked if the angels would spare the city if 1,000 righteous were found therein, it is very likely that 1,000 people represented 10% of the population of the city, and thus a “tithe” of the population. The Levitical priests were similarly a “tithe” of the Israelites, and as long as they offered up their righteous offering unto the Lord, or made their service, the Lord would spare Israel from the burning of the End Times. This all ties into the 100th monkey concept. Once ten percent of a population participates in a certain behavior, in this case the healing of the planet and ushering in of the peaceful millenium, then the remainder of the population has a natural tendency to “ascend” exponentially. This not only shows the inherent mercy of creation — we don’t all have to be perfect in order to be saved from destruction, some of us just need to do our best — but it also goes to show how difficult achieving the bare minimum of ten percect participation is for humanity. We have to struggle and fight the good fight in order to get it done. If we come up to snuff, this suffering and going off track will be put behind us. We will have learned all about evil in the process, and a new eon will be ushered in, a “New Earth with a thousand years of Peace” presided over by the Anointed One(s) will begin. Be a part of that Kingdom. Stand with your principles, stand for what you know is right, resist evil and perversion with all your might. Work to heal the earth and end suffering, be part of that ten percent. Become an heir to the throne, a King or Queen, Prince, Princeling. Lady or Princess of this kingdom. Rev. Mark Raines wrote: Thus, on Easter we are reminded that the offspring of our Creators – us – are the true “heirs to the Kingdom.” We are also the earthly descendants of the Divine Kings and Queens, and so we participate in both their earthly kingdom and their Heavenly Kingdom. The kinship with the Divine reminds me of the hymn, "The Family of God" in which there is a line, “Joint heirs with Jesus as we travel this sod, I’m so glad I’m a part of the family of God.” Click on the video below to sing this hymn now. The video has voices only — no musical instruments — and sounds like it might have centuries ago with people walking along or sitting around a campfire or table. After you listen (and sing along if you can! ), please return here for the closing prayers below. In closing, let’s pray together these three potent prayer-affirmations. The name of the Lord was known. The name of the Lady was known. He was, he is, and he shall remain eternal. She was, she is, and she shall remain eternal. She is my refuge when I grieve. They are my only desire. I live in them alone. In sleep as in wakefulness. For the Lord is with my soul. Hallowed, Respected, joyful thy name. Thy holy realm is already come. Thy will awaits us to be done. To be the lion and the dove. Ignoring duties that are ours. of Jerusalem Yeshua sites, Galilee, etc.